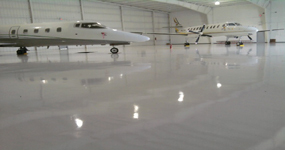 Concrete Polishing | Epoxy Flooring | Resinous Flooring | Industrial Flooring | Commercial Flooring | Garage Coatings | Residential, Commercial & Industrial Flooring Solutions. We offer a variety of decorative flake systems and garage floor coatings for your residential flooring needs. With our large selection of colored flakes to choose from, our garage floor coating systems are durable, low maintenance and can add additional value and beauty to your home as well as an extended life for your garage floor. 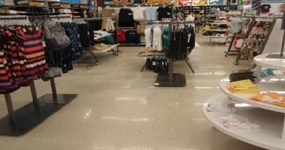 Our previous projects have consisted of retail stores, restaurants, auto dealerships, schools, hospitals and many other commercial environments. If you are looking for a quality commercial flooring solution for your business and have questions - We have your answer! We offer Industrial flooring solutions for all of your industrial needs. Ask about our available industrial flooring systems. From air plane hangars, manufacturing facilities to warehouses and storage facilities, - We have an industrial flooring solution for your specific needs.